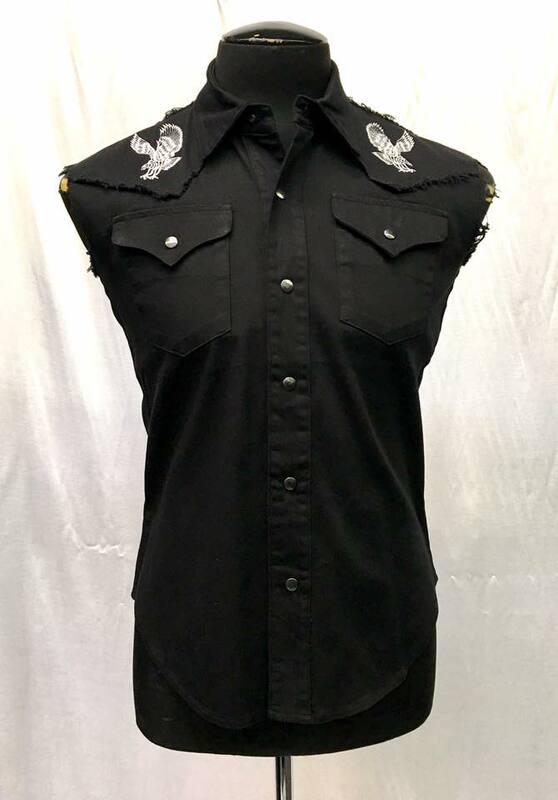 A traditional cowboy shirt with a rock n’ roll flair. 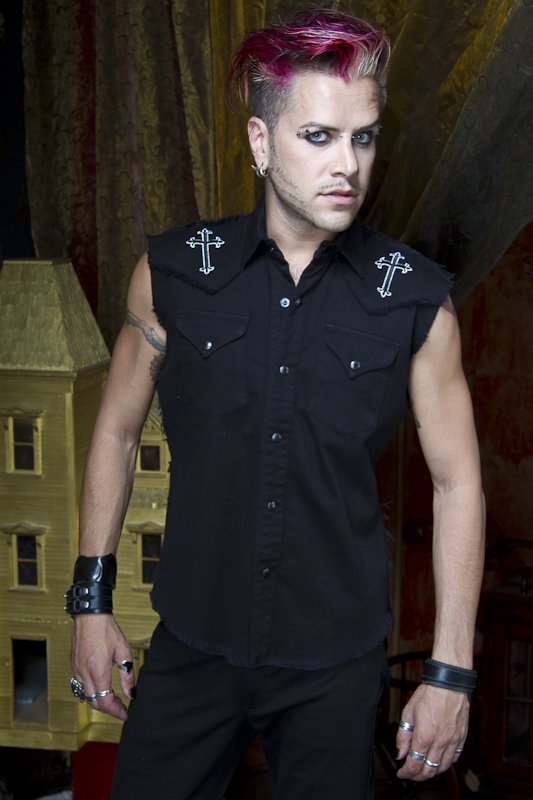 A 100% black cotton sleeveless shirt with black stitching and frayed seams. White eagle embroidery on either shoulder in front and on center upper back. 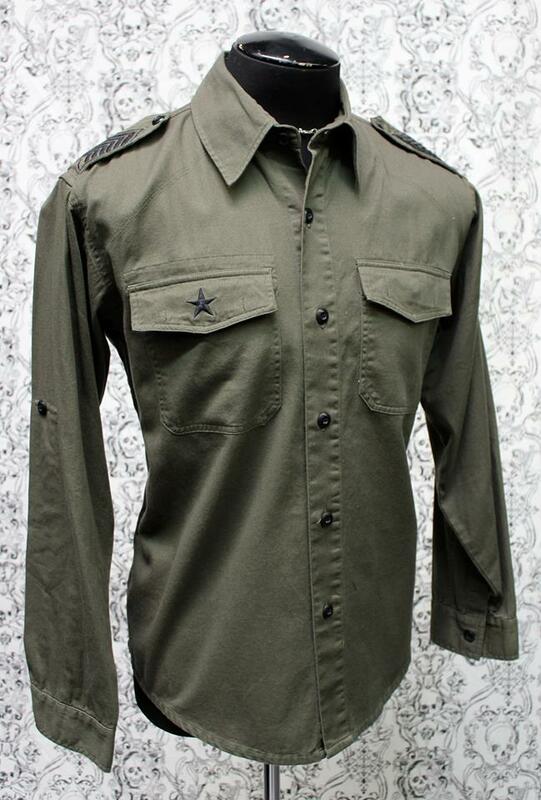 Fastens in front and at pocket flaps with heavy gunmetal snaps. Awesome! 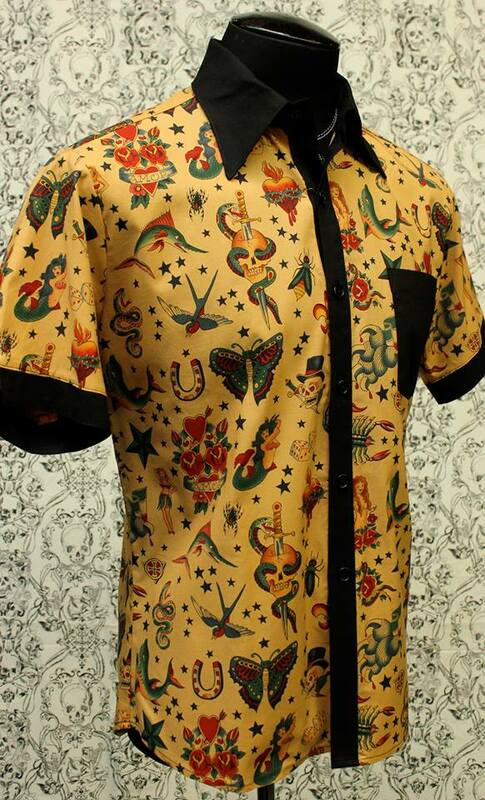 Comes in sizes small-XXL.